You know your dad has been brainwashed when…the funny dad jokes turns into spewing barbs of rampage and hate! Who would do such a thing, you ask? The right-wing media, of course! With generational divides increasingly becoming polarized, The Brainwashing of My Dad hits home for many Americans who’s dinner conversations are driving families further apart. No matter where you are on the political spectrum, we should all have a self-interest in understanding exactly where we get our information and news. 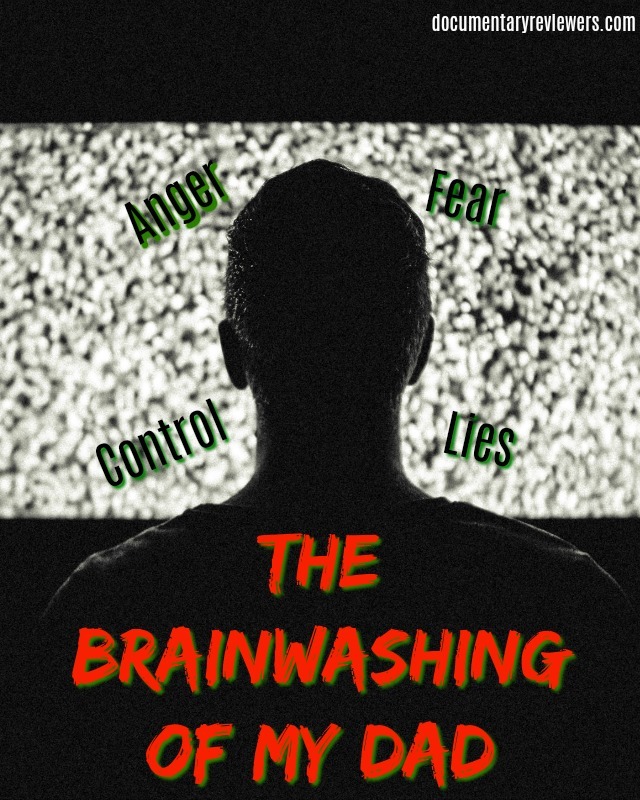 Is the mainstream media doing our thinking for us? Jen Seko’s dad used to be a fun-loving, almost hippie-like Democrat. Caring and accepting, he was well liked. Over the years his thinking changed. His demeanor took a different turn. He became angry. He become convinced that other people were the cause of everyone’s ills. He became…a right wing fanatic. So, just how did a lifelong Democrat turn into an angry, Rush Limbaugh-loving, right-wing zealot? Jen Senko sets out on a journey to understand the changes her Dad was going through. The investigation started with the information her dad was reading and watching. Informed news sources changed to sensational entertainment pieces. Newsletters became spam mail and voices of reason became enemies of moral values. 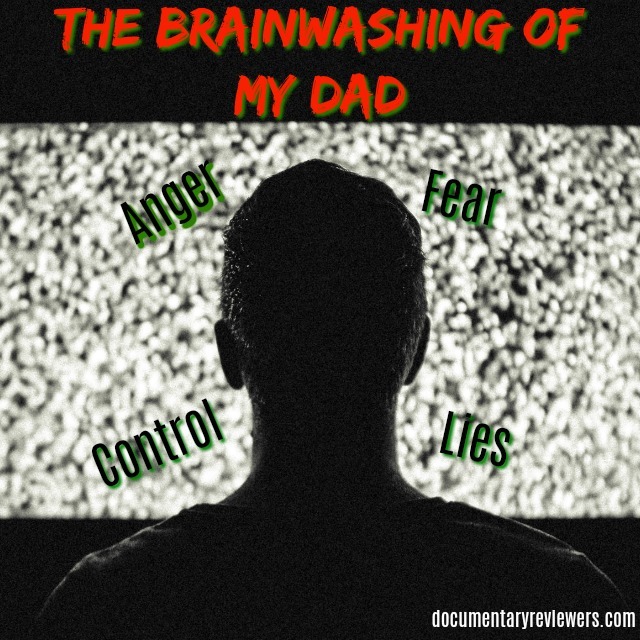 The Brainwashing of My Dad explores the reasons and the systematic dismantling of what news is by Roger Ailes. The rise of Fox News and right wing radio changed the landscape of the media world. Through various interviews with the insiders behind conservative media, Jen Seko seems to expose the propaganda machines that Fox News and radio programs like Rush Limbaugh really are. What became of Jen’s Dad? Watch to find out! When I first came across this documentary I thought to myself that this will definitely make the “conspiracy theory” list. If not, at least the “odd” one. However when I finished watching it I realized it was odd in a different way. It quite possibly explained the rise of organizations like Breitbart News and how a populist president was able to be elected in the US in 2016. Mind you that this documentary was released in 2015. Anyway, what was fascinating was some of the statistics and data that was presented. For example, the “Public Mind” survey from Farleigh Dickenson University asked over 1,185 people nationwide what their news sources were. They then asked them questions on events on the US and abroad. The results. Fox News viewers got the least amount of questions right, followed by respondents who didn’t watch the news at all! The top? NPR. Other arguments made in the documentary were also eye-opening. One example is the equal time rule. Even if the national sentiment on an issue drastically leans one way, news and radio programs must cover the opposing view equally, enlarging the mouthpiece for even marginalized viewpoints. As thought-provoking as this documentary is, it certainly didn’t give equal time to the opposing viewpoint. But, it didn’t need to, nor was it the point. The documentary paralleled the storyline of her dad and that gave it the personal and persuasive touch to make it a good and easy watch. The Brainwashing of My Dad should go on the list of documentaries to watch. Whether you’re interested in the politics, have a “brainwashed” dad, or just want to be entertained by a interesting documentary, this will be a good one for you! You can watch this film with Amazon Prime.